Instagram is one of the most popular social media networks, and it’s reach and impact continue to grow. Our team believes in the power of Instagram because it is owned by Facebook, and the two platforms seamlessly integrate. The millennial market dominates Instagram, with the 35+ market very active on the platform as well. Being active on Instagram gives you an opportunity to humanize your brand – you can avoid overly self-promoting and, instead, share what goes on behind the scenes and how you are personally connected to your work. 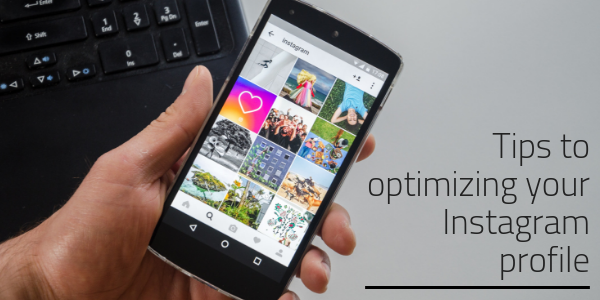 So whether you are marketing yourself or your company, it is important to make sure your Instagram profile is optimized properly. If you haven’t already, I highly recommend converting your personal profile to a business account. Business account allow you to add a direct contact button to your profile — you can customize this a direct message, email, or text. It is also important to make sure your profile is properly branded. Your logo should be the first thing people see when they visit your page. 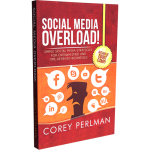 You want to be consistent across platforms, and for there to be a sense of familiarity. Instagram Stories have exploded onto the scene recently, and are a great marketing tool to take advantage of. An Instagram profile that publishes stories regularly is much more likely to be visited and followed by people. Stories are easy to create. They are a great way to give your audience a preview of what goes on day-to-day at your business, an inside look at events, interviews with employees and clients, and so much more. Instagram posts with hashtags receive more views and engagements than those accompanied by text only. Instagram only allows up to 30 hashtags on a post, though, so use them wisely. Make sure they accurately reflect your company’s vision, as well as the content of the actual post you’re using them in. But don’t ONLY use generic hashtags (although those are good!) — create a brand-specific hashtag that your audience will associate with your company and your content.